There are close to 15,000 Jews in Ottawa with thousands of stories of what Judaism means to them. From holiday celebrations and family events like the birth of a child, the Bar and Bat Mitzvah, and weddings to Hebrew School and adult education courses, our relationship with Judaism is visible in every aspect of our daily life. For all the bricks and mortar that will go into the new Ottawa Torah Centre, the true foundation remains Ottawa’s Jewish community. 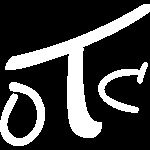 By remaining true to our non-judgmental founding principle that it is, above all else, a place where every Jew is accepted and loved, we will maintain the warmth as we bring our spiritual and uplifting approach to an expanding circle of participants who will experience the joy of Jewish life at OTC. Your engagement and participation is what will bring our vision of a bright Jewish future to life. We invite you to explore the pictures and stories we have posted below and perhaps even share your own special memory of the OTC on our Facebook page (or by clicking here)! 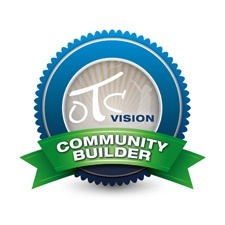 If you would like to showcase your support for the OTC on Facebook or Twitter, we are pleased to offer you the Community Builder badge for your profile! Click here or right click on the image below and select 'Save As'.